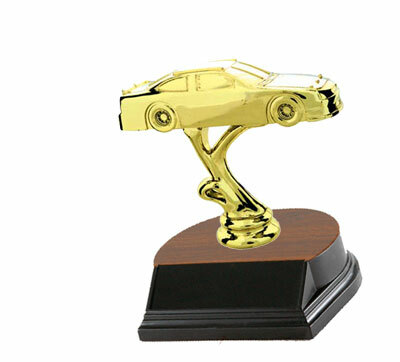 Welcome to our trophy page. 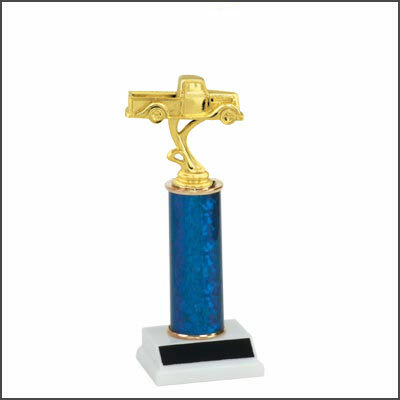 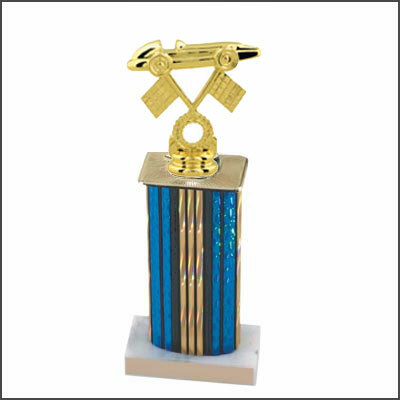 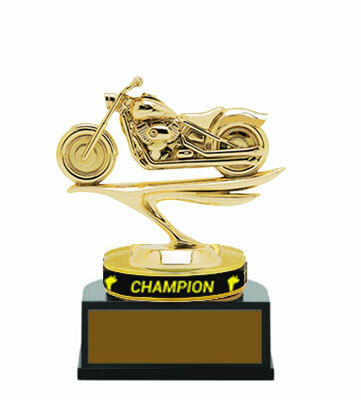 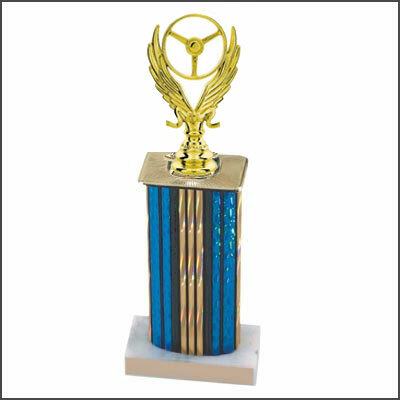 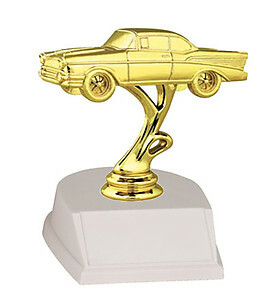 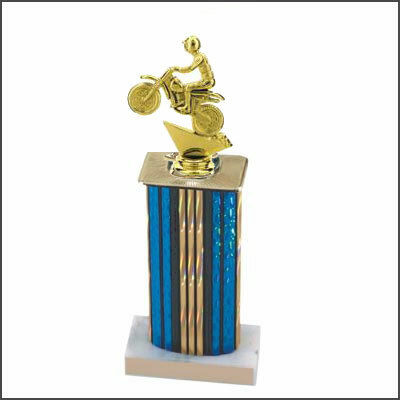 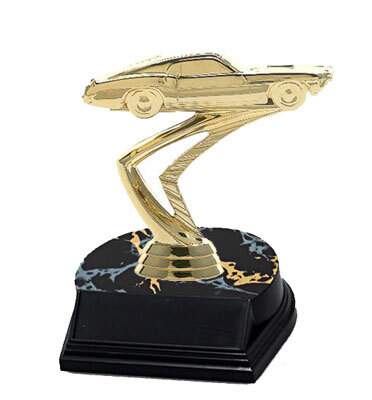 Here you can choose and build an economical trophy for an academic award, sporting event, car show, card tournament, religious function and much more. 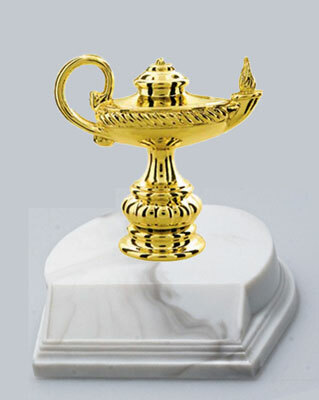 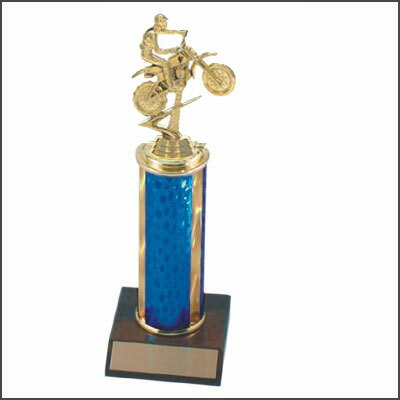 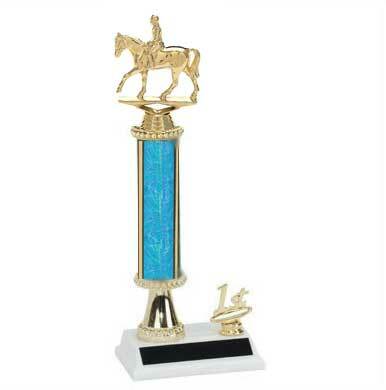 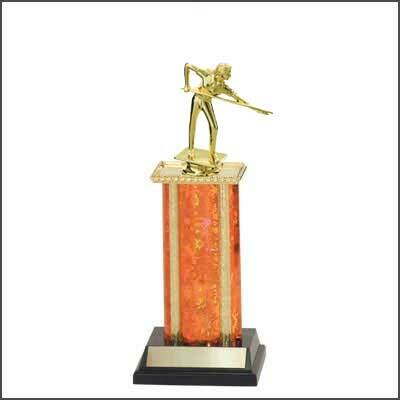 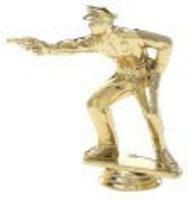 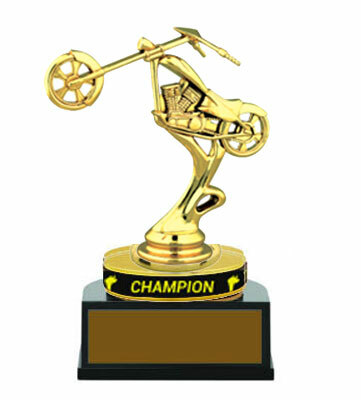 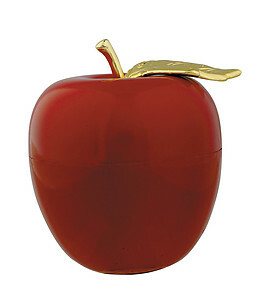 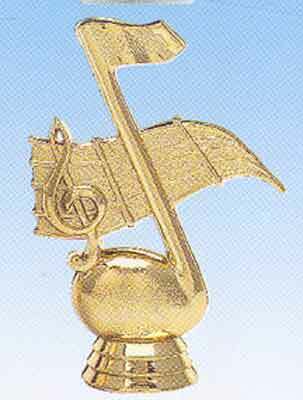 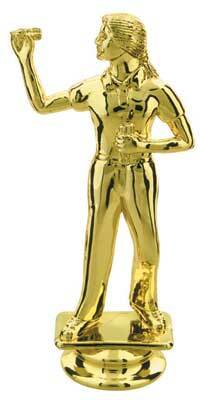 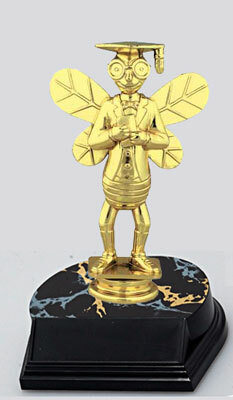 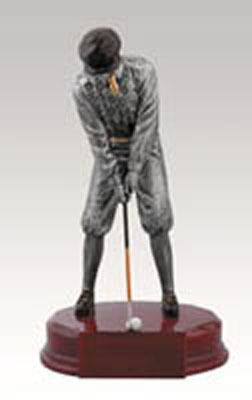 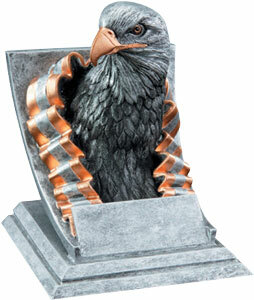 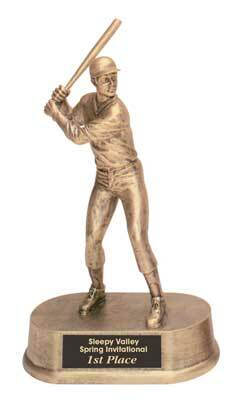 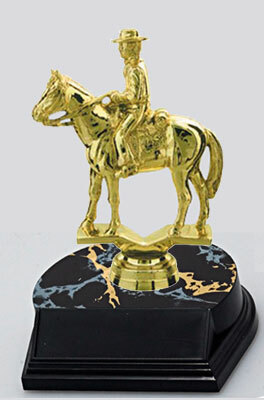 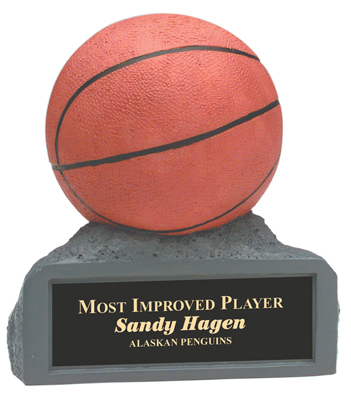 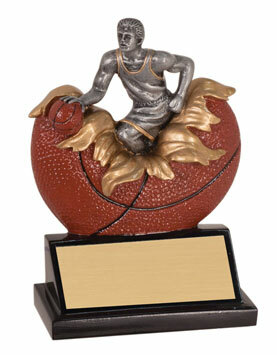 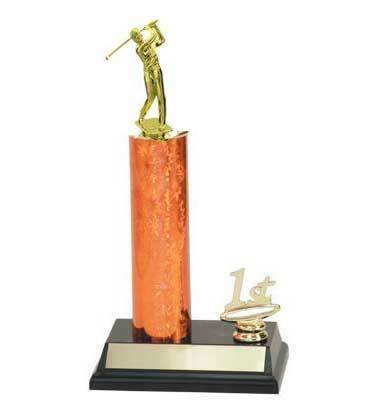 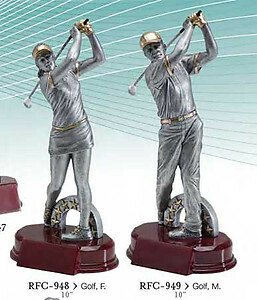 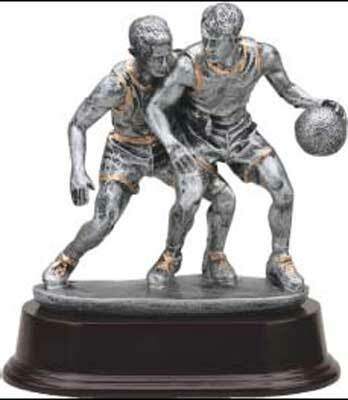 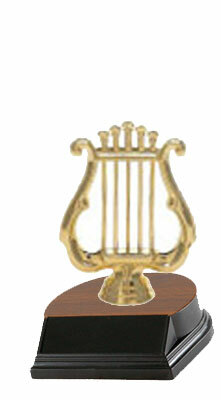 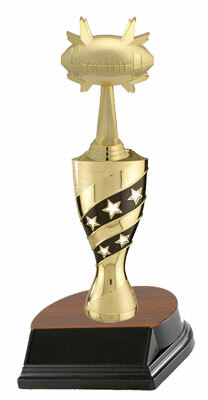 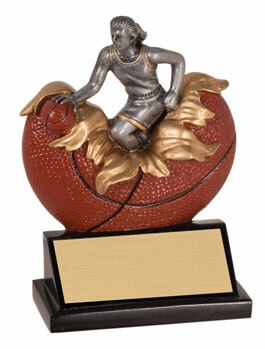 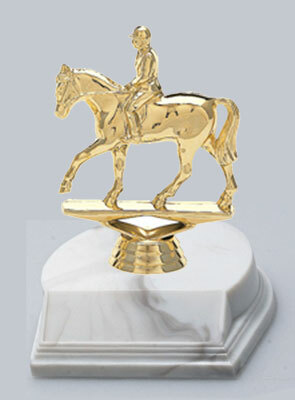 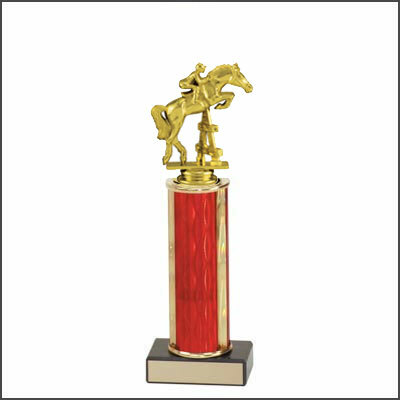 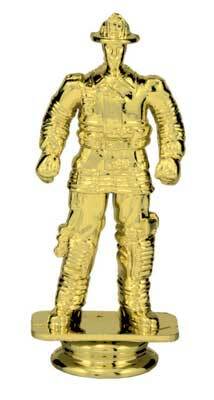 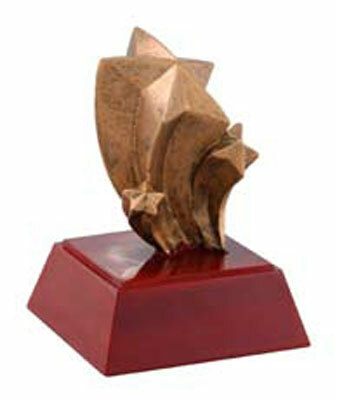 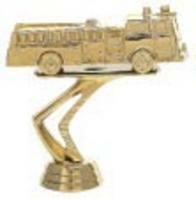 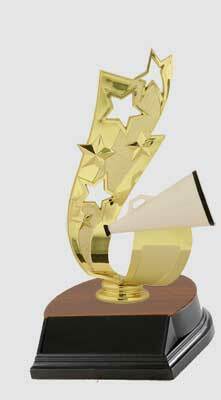 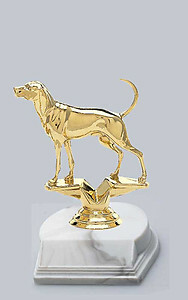 We offer a large selection of trophy styles and sizes that will fit any budget. 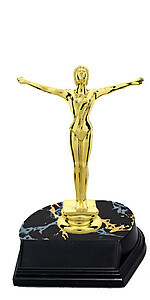 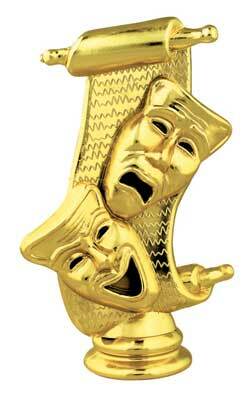 Please scroll down the page to see all of our categories. 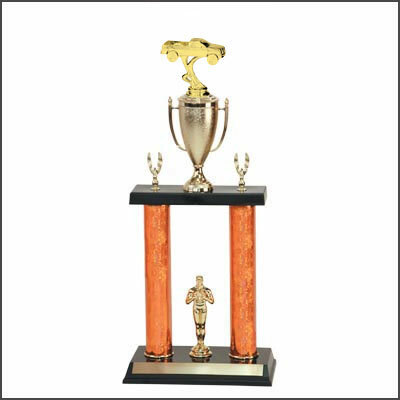 Once you have found the category you are looking for, you can then begin to pick and choose the type of trophy you would like. 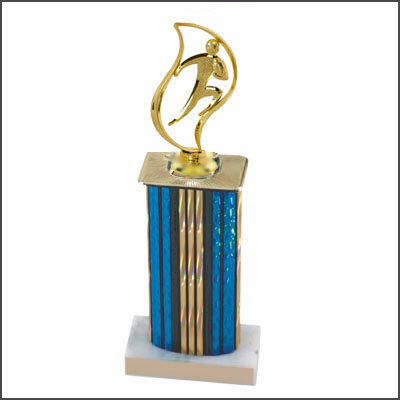 If have any questions about our trophies, please feel free to contact one of our friendly service representatives. 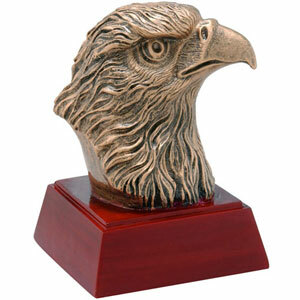 We can be reached by e-mail or phone 800-787-8777. 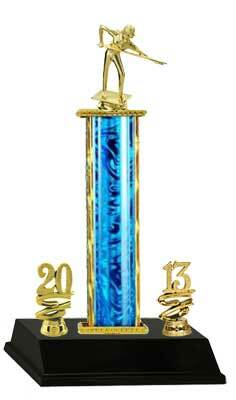 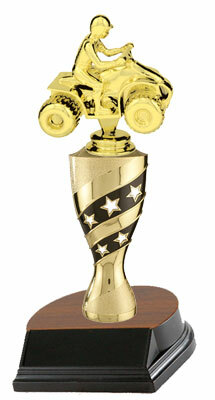 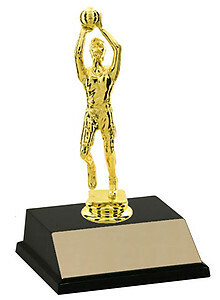 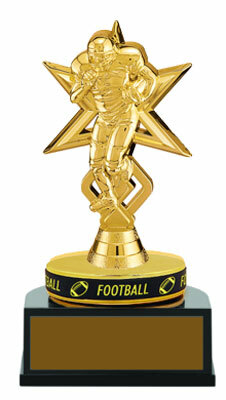 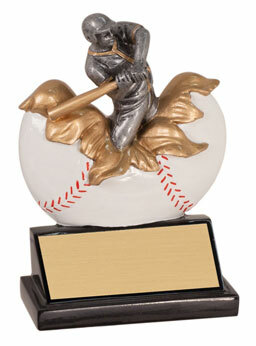 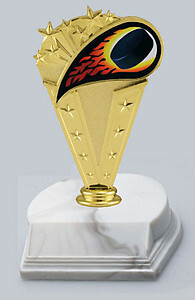 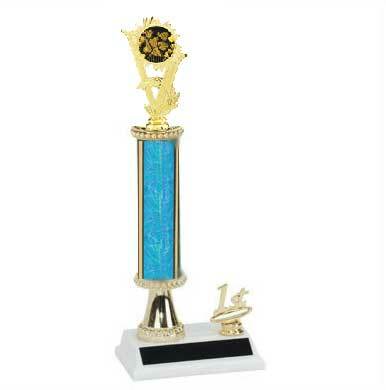 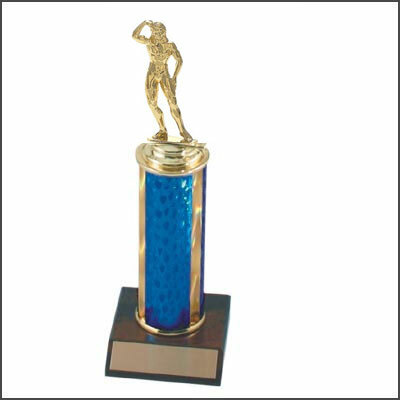 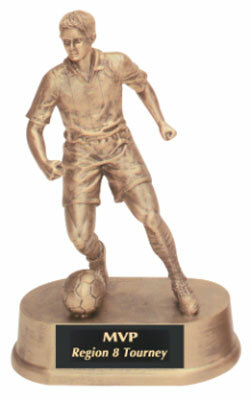 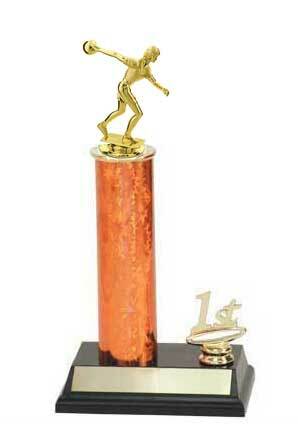 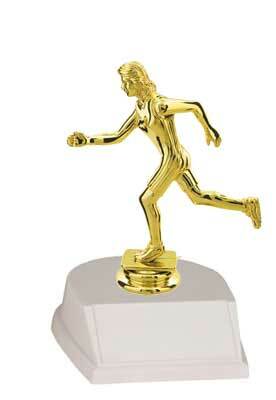 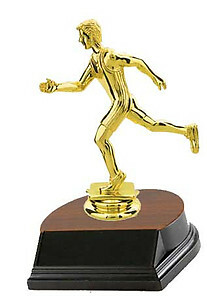 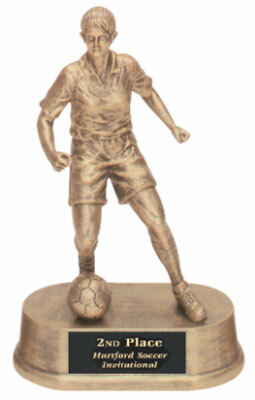 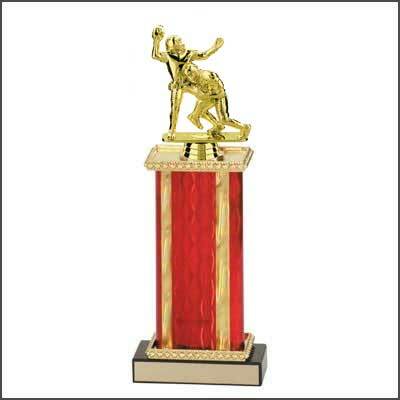 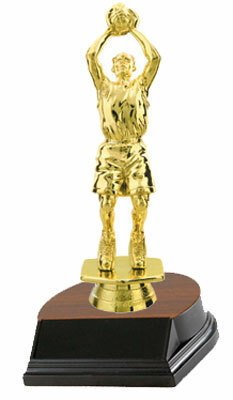 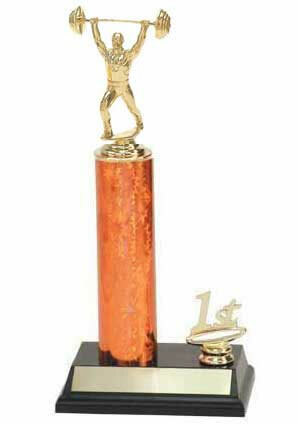 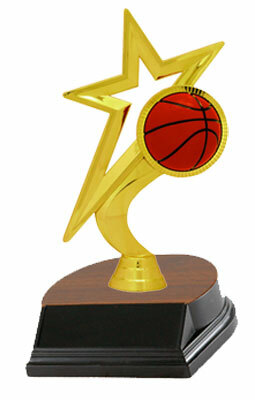 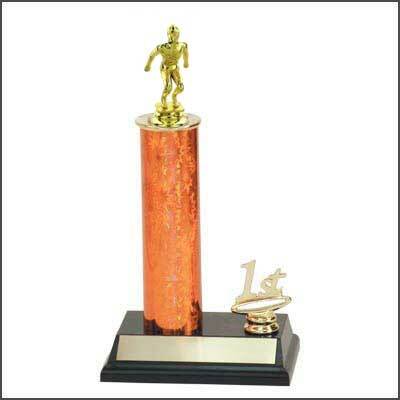 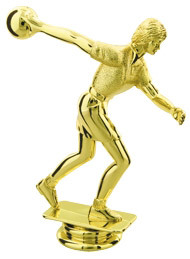 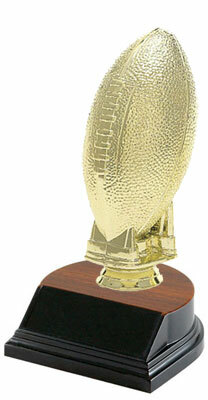 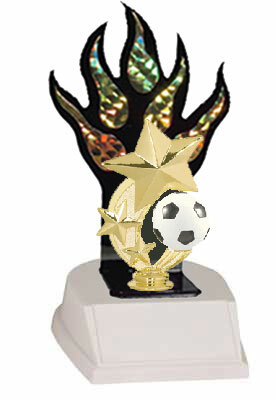 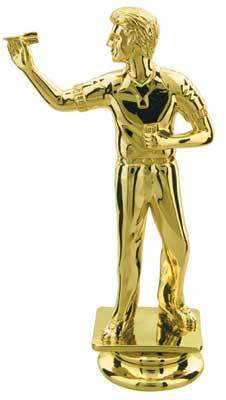 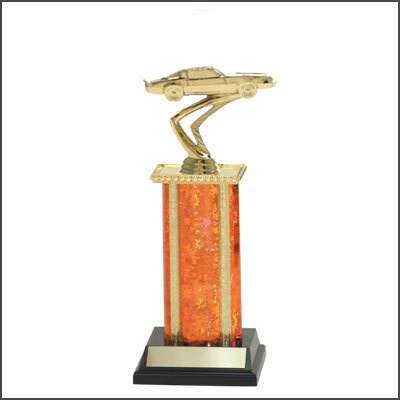 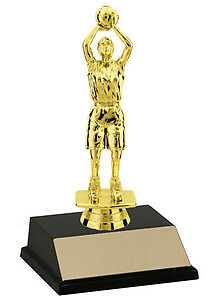 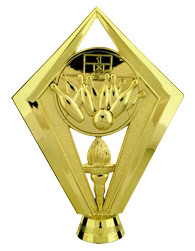 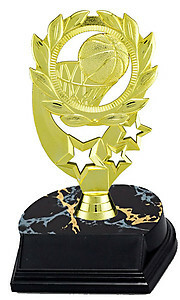 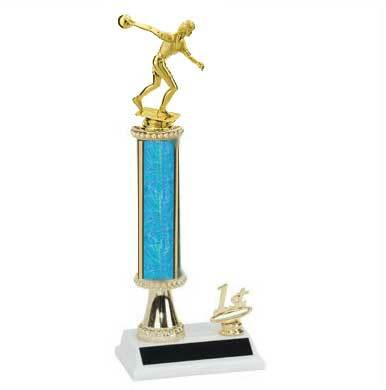 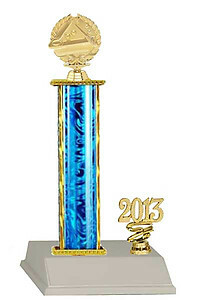 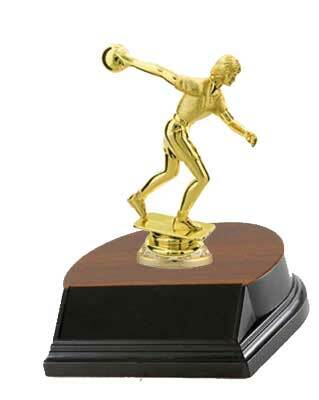 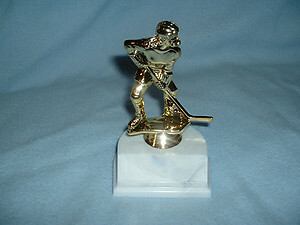 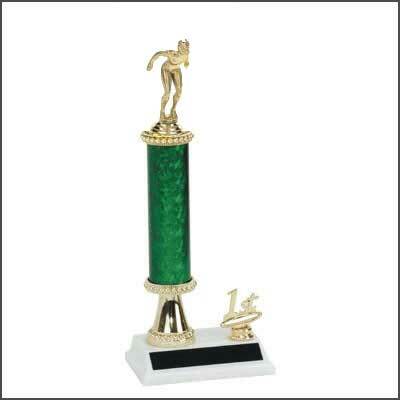 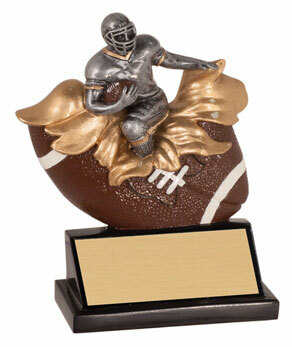 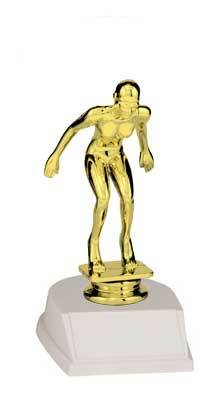 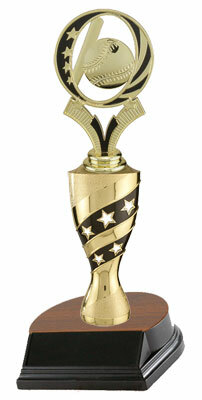 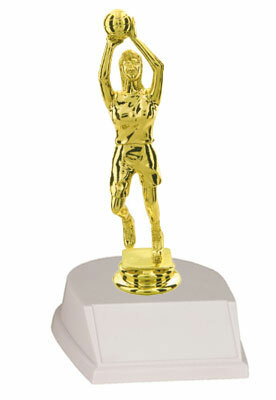 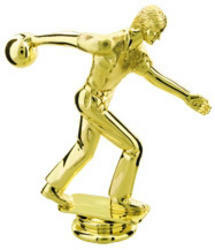 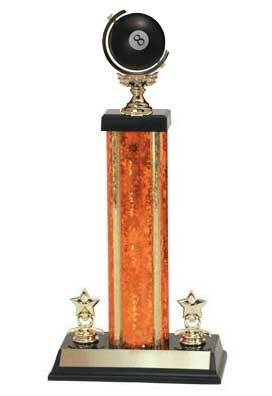 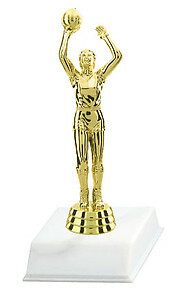 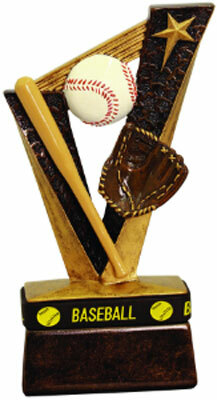 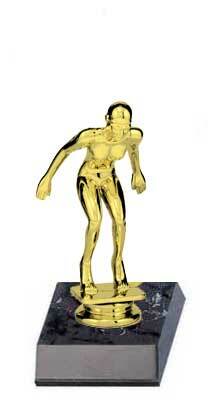 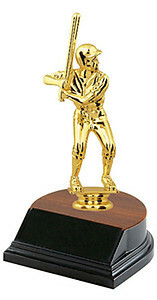 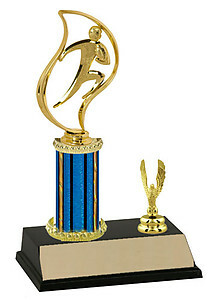 BF Series Football Trophies are inexpensive and look great. 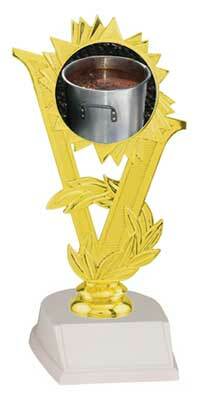 Five discount levels. 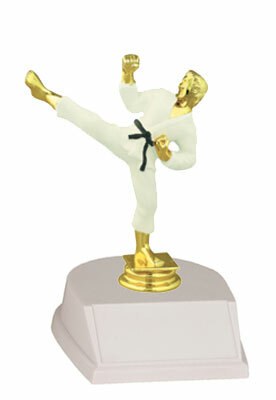 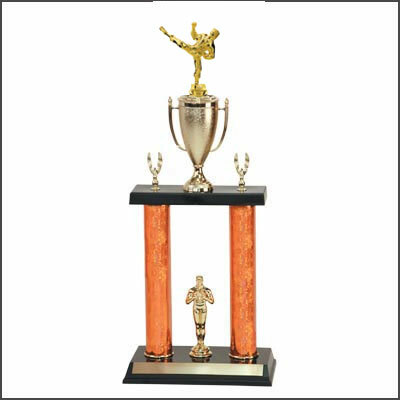 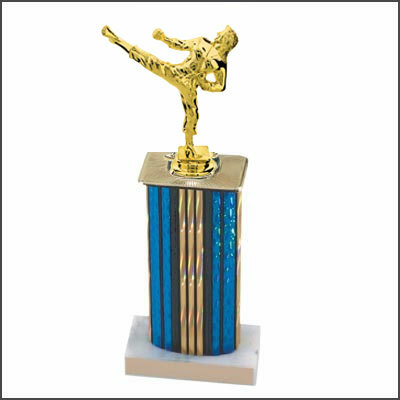 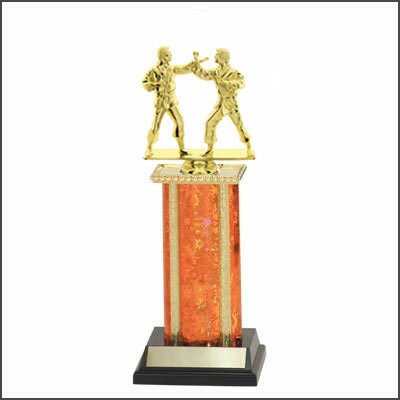 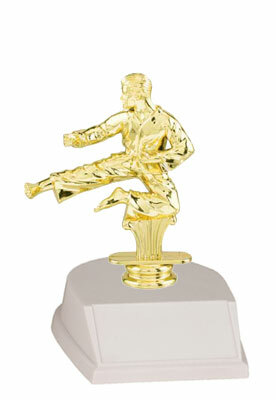 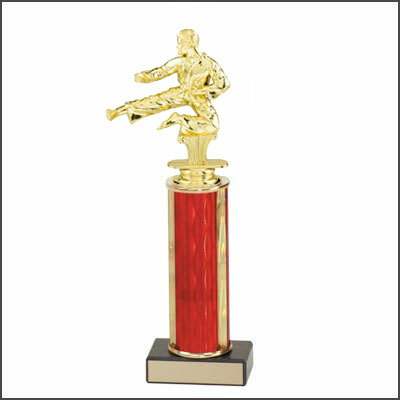 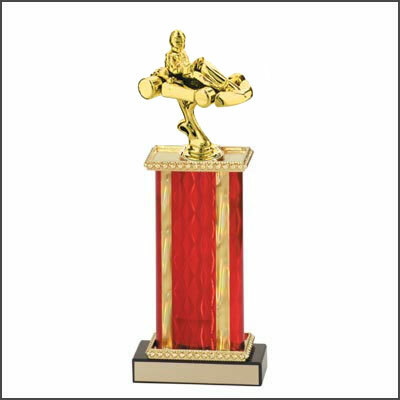 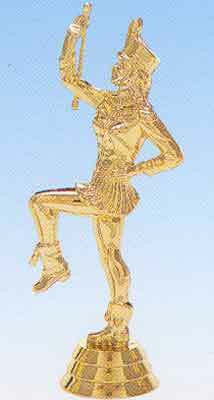 Single Post Martial Arts Trophies ranging from 8" to 18"
Track Trophies 8" to 18" tall. 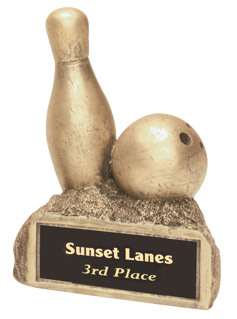 R1R Bowling Trophies round trophies with a single round column, and riser. 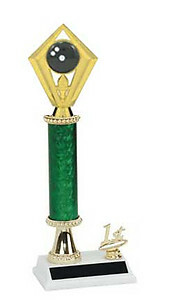 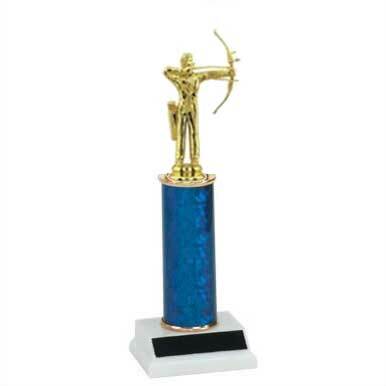 R2 Archery Trophies with a single round column and trim figure. 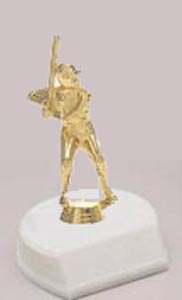 Small Bass Fishing Trophies, with three base color options. 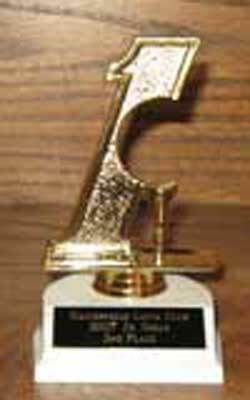 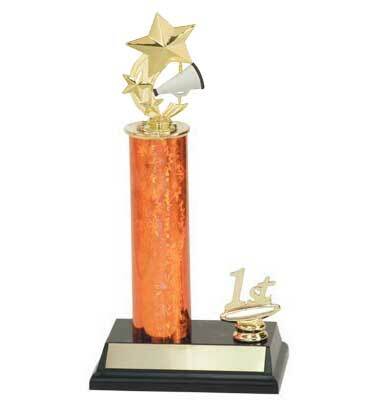 Martial Arts 2 Post Trophies 24" up to 36"
R1 Marlin Fishing Trophies, 8" to 18" in height. 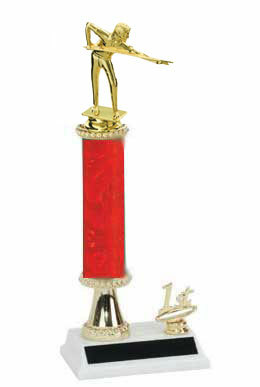 R1 School Trophies with a single round column. 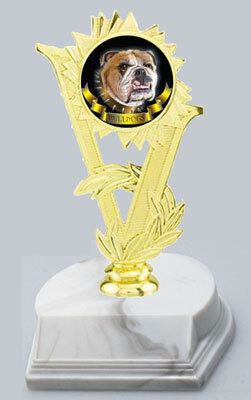 R2 Dog Trophy with a single round column and trim. 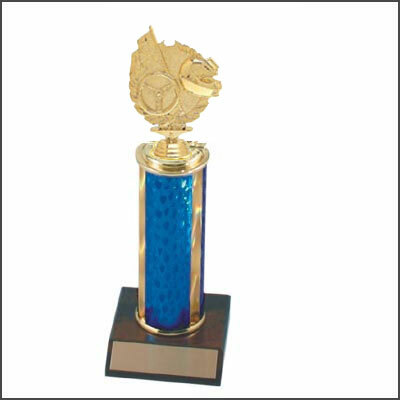 R2 Swimming Trophies with a single round column, and added trim. 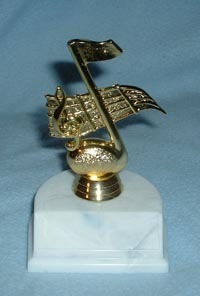 Available in 10 inches to 18 inches tall. 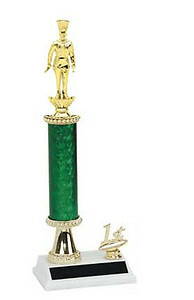 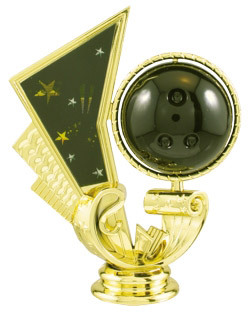 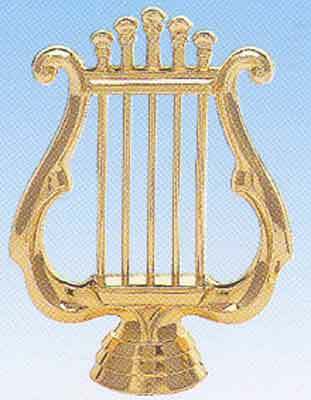 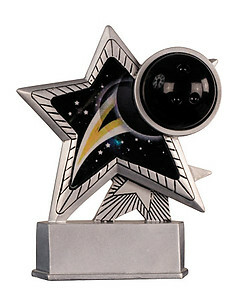 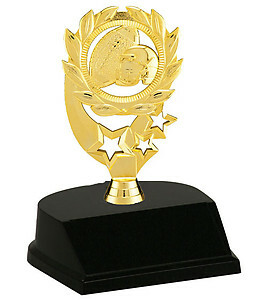 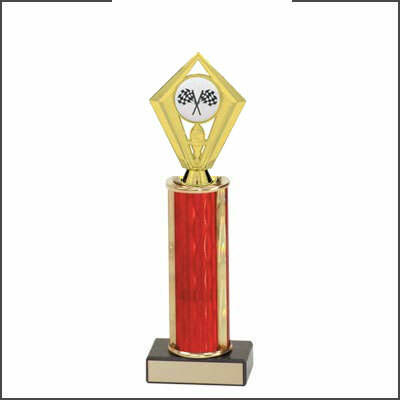 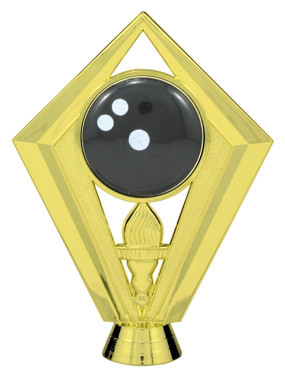 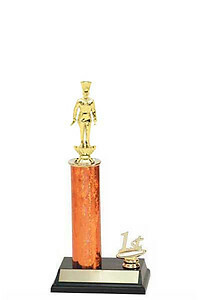 R1R Academic Trophies with a single round column, and riser. 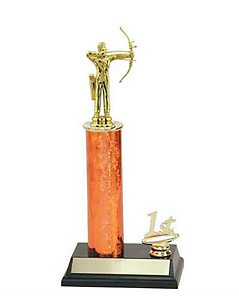 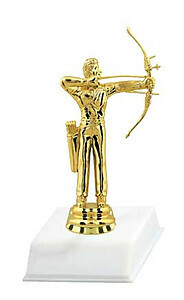 R2R Archery Trophies with a single column, riser and trim. 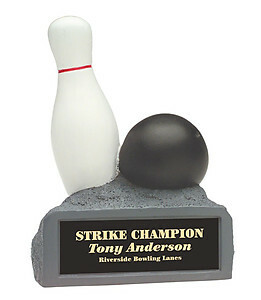 R2R Bowling Trophies with a single round column, riser, and added trim. 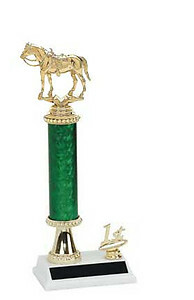 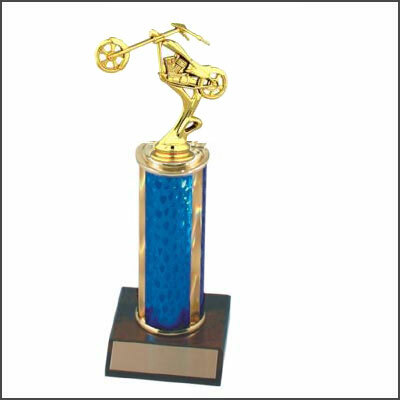 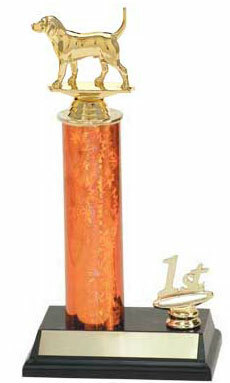 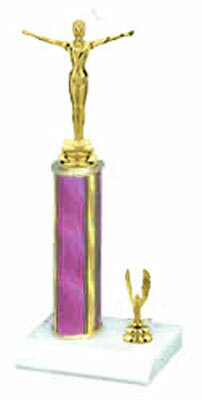 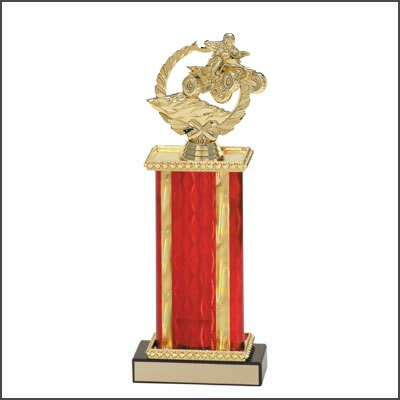 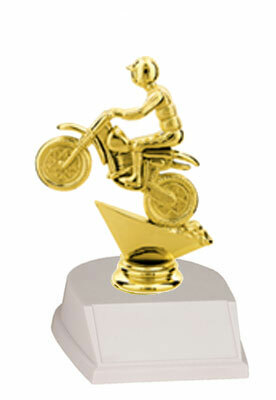 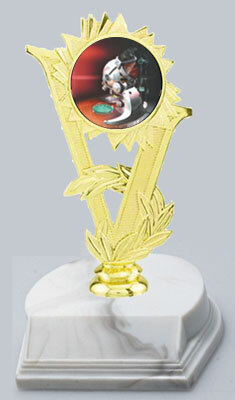 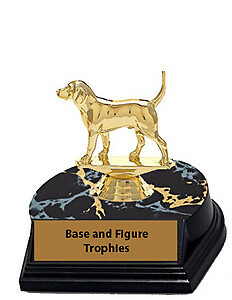 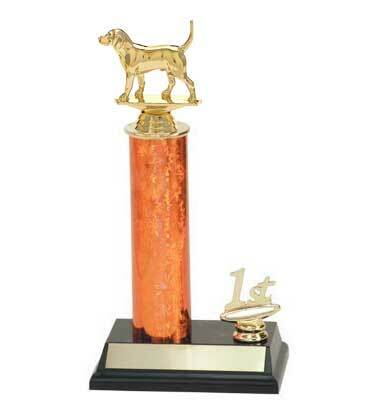 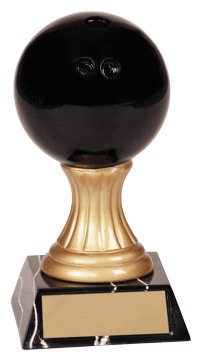 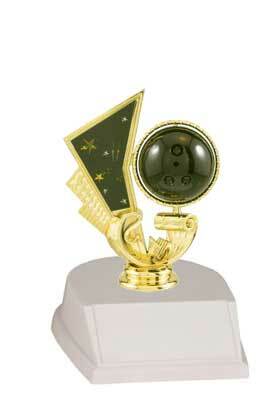 R2R Dog Trophies with a single round column, riser and trim. 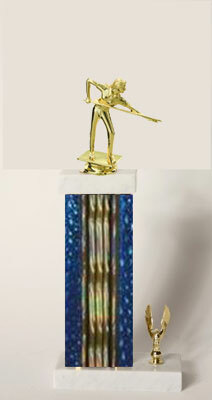 R1 Bass Fishing Trophies, 8" to 18" in height.